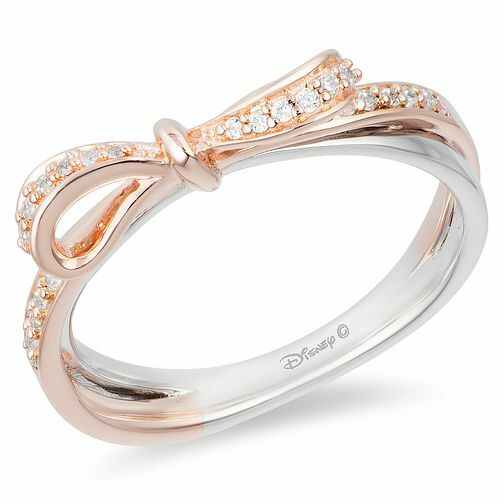 Be charmed by the magic of this diamond ring from the Enchanted Disney Fine Jewelry collection. Inspired by Snow White, the ring features a bow adorned with stunning diamonds. This captivating jewellery piece is crafted from 9ct white & rose gold and appears as two rings intertwined. Beauty and charm for a special occasion.